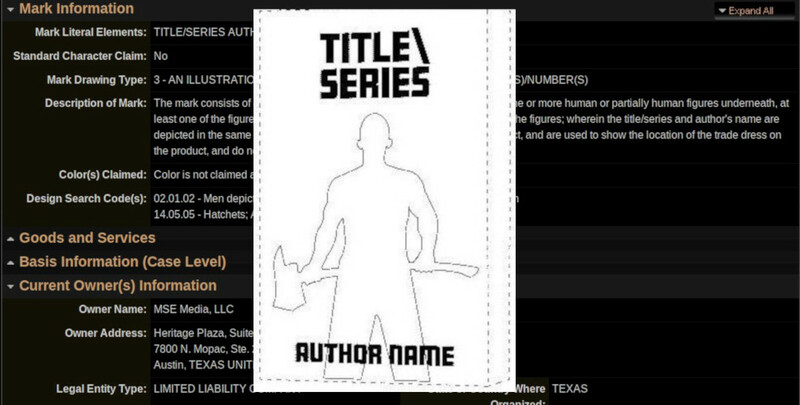 Austin's Michael-Scott Earle, last seen around these parts when he filed a trademark on the phrase "Dragon Slayer" for use in fantasy novel trademarks, has found a new depth to plumb: he's filed a trademark on book covers "one or more human or partially human figures underneath, at least one of the figures holding a weapon; and an author's name underneath the figures; wherein the title/series and author's name are depicted in the same or similar coloring." The trademark has not yet been accepted by the US Patent and Trademark Office. It should not be accepted. Earle and his attorney, Tim D. Chheda, should be ashamed of themselves.